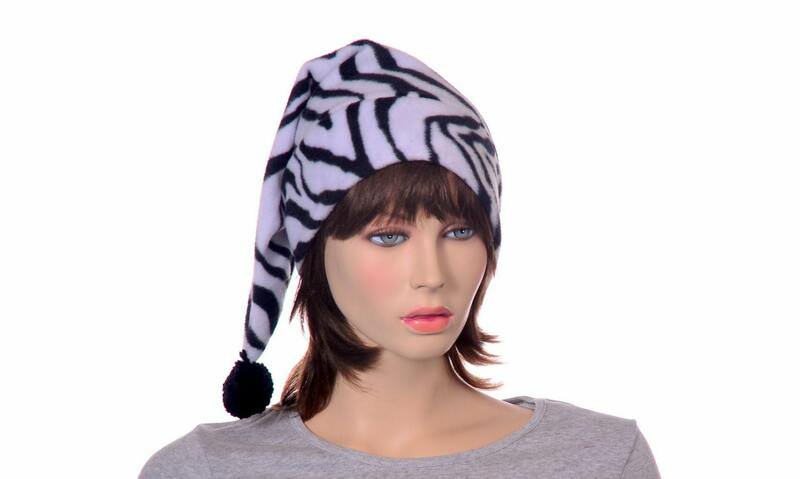 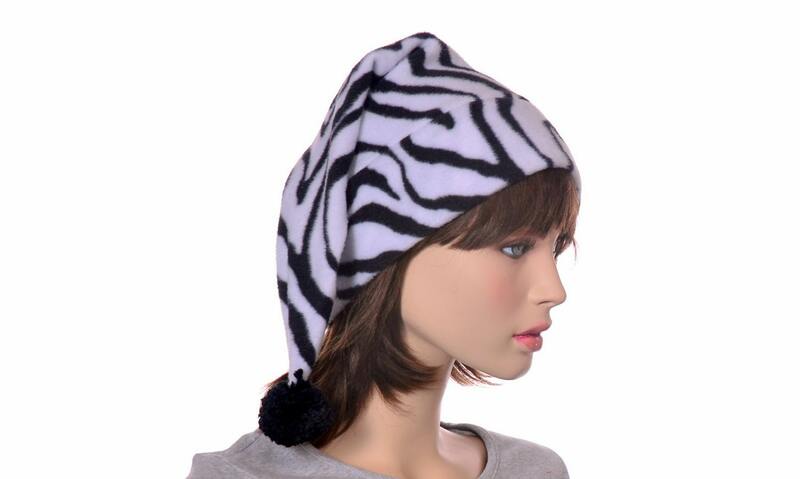 Womens Zebra Long Toboggan Style Hat. 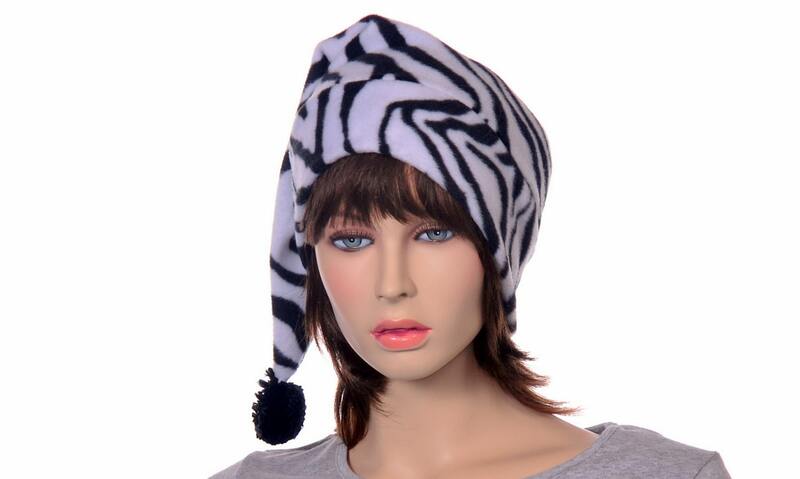 Long Pointed Stocking Cap. 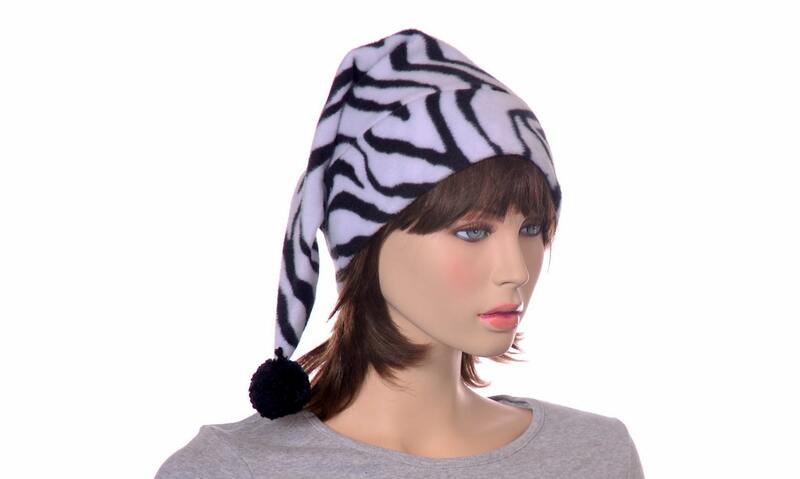 Zebra print fleece hat with black hand tied yarn pompom on end. 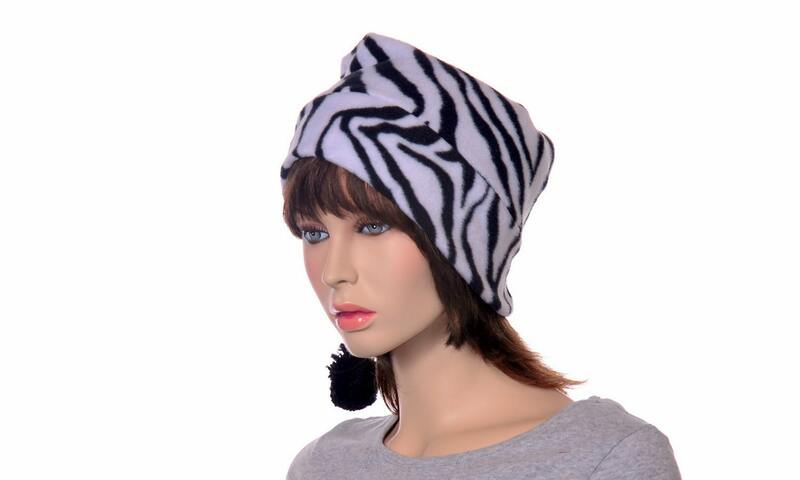 Zebra print double thick headband.